Congratulations and good luck today to Stroud Showgirl 2016 Chloe Hutchinson who is representing Stroud in the Zone 5 Finals at Oberon today. After an entrant’s success at a local Show, the Showgirl then goes on to compete at a Zone Final. Each local Show Society is a member of one of fourteen groups who come under the umbrella of the Agricultural Societies Council of NSW (ASC). 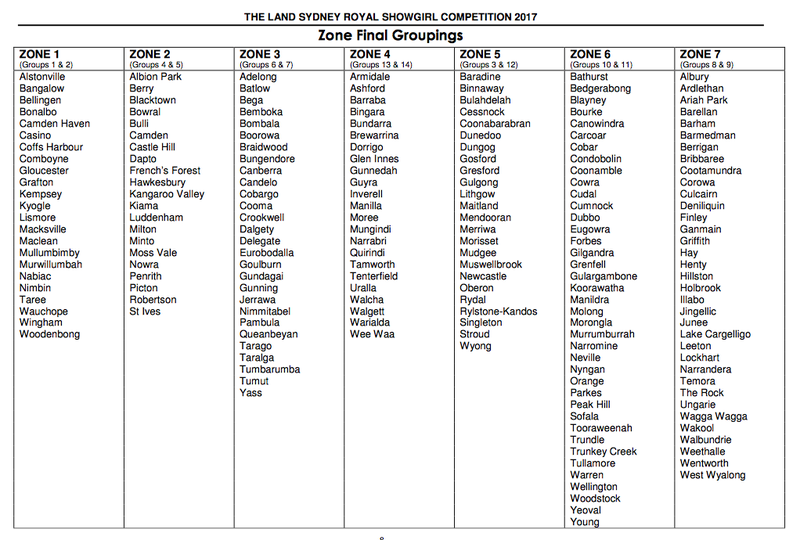 Two groups combine to form one of seven Zones that make up the NSW area. The Zone Finals are held in February/March of each year. Judges select a representative for the State Final from all the local Showgirl winners put forward by each of the individual Societies. The State Final judging will take place in Sydney from Tuesday 4 April 2017 and conclude on Monday 10 April 2017 with the State Final Presentation on Sunday 9 April 2017 at the Sydney Royal Easter Show. All the very best Chloe, we know you will do Stroud proud!